We keep telling you that strange things only seem to happen in Kenya but some of you call us names. Well, here’s another one. Apparently, Kenya’s level of corruption is so advanced that we are now offering lessons to our African brothers and sisters from Zambia. Believe it or not but a Zambian delegation is in Kenya to learn how to effectively fight corruption. Aje sasa? I still don’t believe it myself. The committee on Privileges, Absences and Support Services arrived over the weekend. On Monday, it held its first meeting with the Ethics and Anti-Corruption Commission. 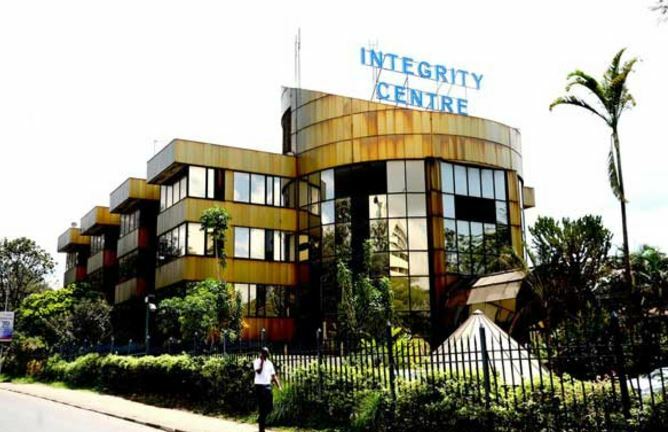 The delegation of eight MPs visited EACC commissioners at Integrity Centre in Nairobi to learn how the agency has been fighting graft and promoting ethics. The delegation’s leader, one Garry Nkombo, said they were studying the best practices in managing corruption in governance. He said they will also share their experiences and the problems they have encountered in the fight against the vice and processes in whistle-blowing and prosecution of suspects. “We recognise the fact that corruption does exist and want to learn how Kenya has been dealing with it. It is generally agreed that corruption cannot be fought with kids’ gloves,” Nkombo said as quoted by the Star. We have seen it all! Maybe the joke is on us and the Zambians are just here to learn how NOT to fight corruption because we have been doing a shoddy job. We are more corrupt than the Zambians after all.